“No one in our slum defecates in the open!” This was a public declaration by the residents of two slums, namely the Nepali Camp and the Priyanka Camp located in Vasant Vihar, South Delhi. 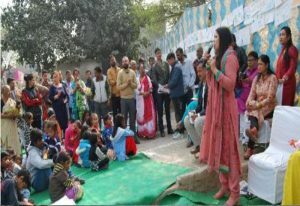 The residents of these slums celebrated their ODF status with great fervor and enthusiasm on 22 Jan, 2018. As part of their CSR mandate, a consortium of InterGlobe Hotel, Triguna Hospitality and Accor Hotels provided support through an integrated slum development program with an intention to improve the living conditions of the residents of these slums. Feedback Foundation, along with the consortium provided technical assistance to these slums in their journey towards becoming ODF. Also, the residents constructed toilets with great pride. To mark the celebrations, the erstwhile open defecation site was converted into a meeting place. The camps were decorated with beautiful rangolis and the residents participated in sports and other cultural activities with a lot of enthusiasm. The MLA, Nigam Parshad as well as representatives from the consortium partners and representatives from SDMC, local Post office and DUSIB graced the occasion. 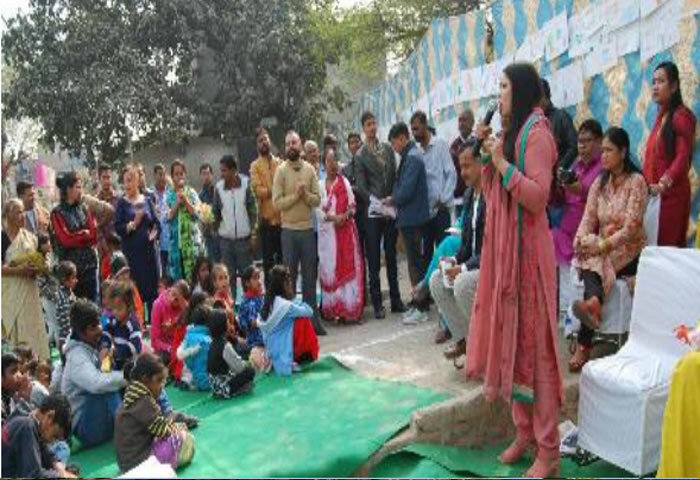 This was a joint initiative wherein besides the corporate, the SDMC and citizen groups worked together to improve the lives of the women and the children and accomplished this significant feat in less than a year.